Admission: Pre-register for free entry or £4 per person on the day. We've been running wedding shows for over five years across the East Midlands and now we're coming to Coventry! We'll have over 60 fantastic local wedding suppliers with everything you could want for a fantastic wedding day and beyond! Exhibitors include* Wedding Dresses, Venue Decor, Mother of the Bride outfits, Shoes, Flowers, Stationery, Singers & Musicians, Chair Covers, Chocolate Fountains, Tiaras, Bridal Hair-Dressing, Gift Lists, Wedding Insurance, Vintage Cars, Modern Limo's, Magicians, Casino, Photobooth or Magic Mirrors, Honeymoons, Videographers, Toastmasters, Popcorn & Candy Floss, Cheese Buffets, Children's Entertainers, Bridesmaid Dresses, Suit Hire & Sales, Beauty products & treatments, Personalised Items, Fun Items, Live Music and more! (£4 per person or £10 for groups of 3 or more. Under 16's free). Stonebridge is becoming a popular venue who can offer, The ceremony, sit down meal and your reception, All with fabulous views. Stonebridge golf club, have recently undergone some refurbishment to improve their already popular and stunning wedding venue. a 'must-visit' event for all brides and bridegrooms-to-be and their families and friends. Free drink (for each of your party) and a goodie bag (1 per party) for all ticket holders and registered guests. A wide variety of suppliers from venue dressers and transport to stationary and gifts, all of whom will be on hand to showcase their products and services, and discuss your requirements. The big day is nearly here and it's time to plan the party of the year! See The Hawthorns Stadium dressed for a wedding and chat to the events team about your own function or wedding at The Hawthorns. "If you are looking for a venue that will make your wedding day one that you will remember for the rest of your life - then look no further. Whether you're looking to say yes to the dress, size up a well-groomed suit, capture your day in perfect detail, or find the blooms for you, Birmingham Museum & Art Gallery are once again opening their doors to brides-to-be to get them set for their 'Big Day'. Taking place in the stunning surroundings of the Grade II listed building's 'Waterhall', The Wedding Fair will see a wide range of handpicked local exhibitors come together under one roof for this one-off event. Brierley Hop House Wedding Fair and Wedding Table top. Come along and see a great affordable venue, with canal views. There will be wedding related businesses, from stationary to photographers. Also we are offering the opportunity to married couples to come sell there used or unused wedding items from their wedding. Pre Booking for stalls is essential. Couples can pre register via our website or get your free tickets via link. Registered guests (either before or on the day registration available) will receive a free drink for each member in their party and a free goody bag per party. 40 exhibitors, FREE ENTRY, welcome drink and canapes for all guests. Pre register at www.perfectbrides.co.uk or just turn up on the day. 45 exhibitors, free entry, welcome drink and so much more. Our stunning evening wedding show is back and we cannot wait to invite you back. 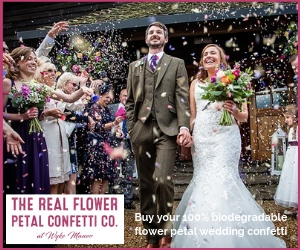 This event will provide you with fantastic discounts and savings for your big day. Looking for wedding transport, for the Bride, the Groom, your bridesmaids, family members or even your guests ? then look no further, this show is a must. You will be able to find the largest selection of wedding vehicles available in the West Midlands, all displayed together in one location !! Come and see an impressive range of vehicles, classic, vintage, modern, quirky, even a vintage bus, there is something for everyone. We will also be joined by a select group of wedding suppliers offering something a bit different !!!! Our stunning show at Aston Villa is happening on September 1st and we simply cannot wait. With over 65 Suppliers, Fashion show, live performances and Welcome drink reception with chocolates. This event will see some of the Midlands biggest and best suppliers on hand offering over £50,000 in savings for your special day. Dresses, samples, tasting and so much more will be available for you and your party. Come and have a great afternoon with Perfect Brides. ​Bar Open for light snacks and drinks. Bring the whole wedding party and join us for a drink! Join us for The Stoke on Trent Luxury Wedding Show! Seminars and tutorials on the day. More information on the event to come soon! See Tern Hill Hall dressed partly for a wedding and speak to the team about how to hold your wedding at the venue. A fully Interactive Wedding Planning Experience - plan your wedding or event entirely under one roof with the confidence that you're booking with the best of the best in the business. From Bridal Gowns to Catering, and Flowers to Suits we have top local experts on hand to help you plan your perfect day. FREE GOODY BAG & FREE HOG ROAST AT THE Mercure Warwickshire Walton Hall Hotel & Spa Wedding fayre. Canapes and Prosecco on arrival. 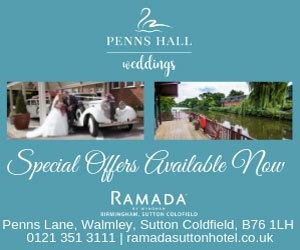 Free copies of Your West Midlands Wedding Magazine courtesy of our media partners - County Wedding Magazines. Diva Wedding Fayres are BACK at Stanbrook Abbey for the Winter Wonderland Wedding Fayre and Venue Showcase.